Here is a confession before I start talking about this event: I know nothing about comics. Zero. Zip. I used to read Spanish comics when I was little, but that was it. I evolved into an avid book reader, TV watcher and film lover and I never got into liking comics. Which is a shame, because if I had, this convention would have been absolute heaven for me. Bursting equally with endless collections of comics and fans willing to buy them, London’s Excel Centre hosted what could be considered a meeting, where people gathered to acquire rare pieces to take home and meet other comic fans. From my “I don’t know about comics” point of view, the event was fascinating nonetheless. 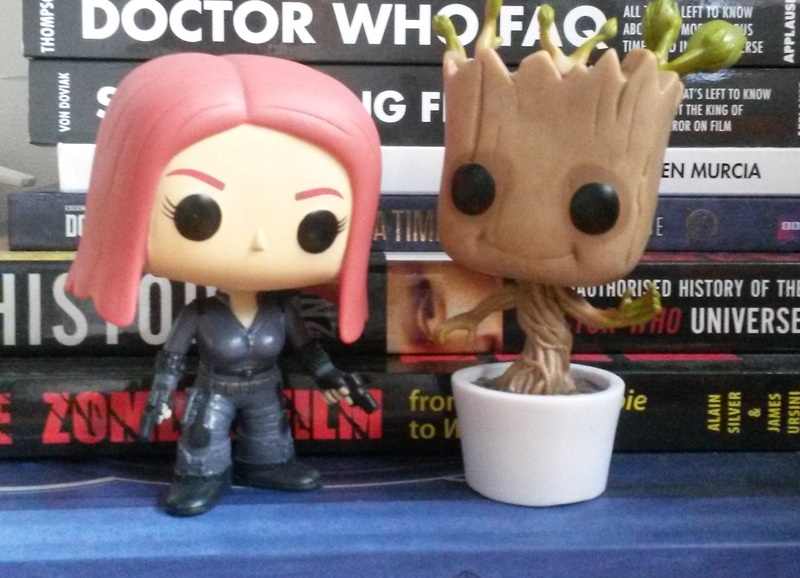 Even if it had a very particular theme, most of the comics have been adapted to the big or small screens, so I had my fair share of fun by watching people wearing costumes I could (mostly) recognise, like The Avengers, Guardians of the Galaxy (so many Groots! ), Power Rangers or Game of Thrones, and it was all spectacular. I didn’t dare to approach any of the special guests because I thought it might be disrespectful of me to talk to someone who was highly regarded by everyone in there when I had no idea who they were. 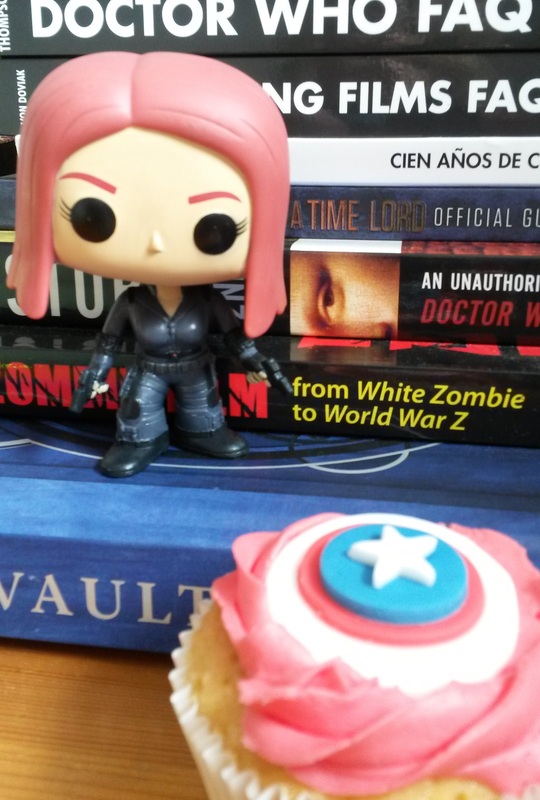 My personal highlights were buying a Captain America cupcake from Emerald City Cupcakes (their decorations and designs were exquisite) and adding two more Pop Vinyl toys to my collection –and two that I had been wanting for a while now: Black Widow and Baby Groot. 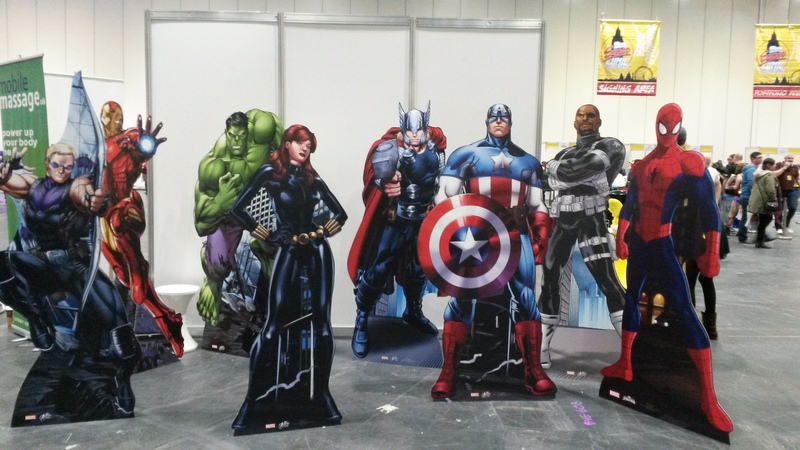 But the convention was quite amazing overall, and infinitely much better organised than last October’s MCM Comic Con. Looking forward to July’s Film Comic Con now!